Get flooring installations that deliver consistent, superior performance while installing in less time, with TRAXX MAXXIMUS™ Tackless Carpet Strips. 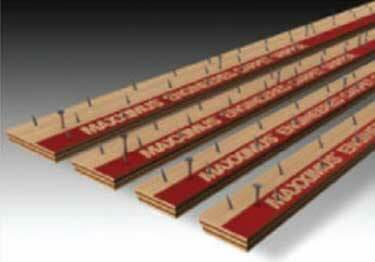 MAXXIMUS™ carpet grippers are constructed from premium birch and high tensile steel nails, delivering durability and superior performance. The MAXXIMUS™ line is available in four performance designs to meet your residential and commercial application installations needs. If you need to get the job done right, but budget is critical, use our economical Certified™ line of Carpet Grippers. worked as expected, delivered promptly and without damage in shipping. Thank you for your review and the kind words about our service and shipping. A professional edging finish to any carpet, vinyl, rubber tile edge while also protecting it from wear and tear.